The Primal Shrug (ISBN 978-0595201648 — now out of print) is a bracing technique that will show you how to unload the excess baggage of unfruitful seriousness and fearful anticipation of what others will say and think. Get on with your own life, not just the world's idea of what you should be! Through many humorous yet useful examples, a series of situations that relate to almost everyone's everyday life, and some specific techniques that you can practice on your unwary friends, co-workers, and loved ones, you will learn to rise above the usual run of tedious life experience. Find fresh interest in things that you used to think weren’t at all absurd—until now. Apply the Primal Shrug to all aspects of the world around you, learn its very simple yet potent principles, and see what facelift the world and everything in it will get! 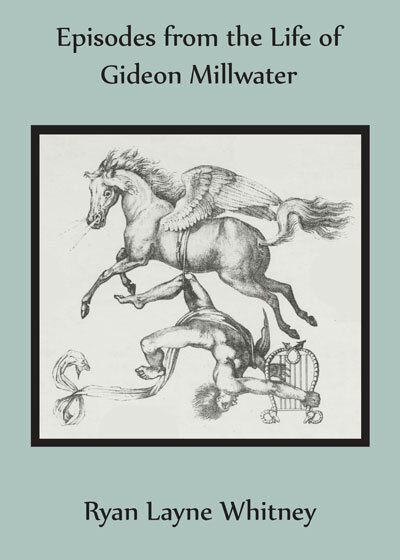 In Episodes from the Life of Gideon Millwater (ISBN 978-1257020829), Ryan Layne Whitney (author of The Primal Shrug) has concocted an extravagant fantasy: the works and life of the composer Gideon Flavius Millwater. In prose as elaborate and detailed as the compositions of Millwater themselves, the Ten Symphonies, the opera Juliette, the Punk and Circumcision Marches, among others, are all described with lurid flair and a delight in the bizarre and eccentric. Millwater’s style of living (and he lived to be 109), as well as his death and memorial celebrations, match that of his music: uncompromising, scandalous, energetic, and witty. If Millwater himself did not actually exist, we can only hope (or fear?) that someone may one day take up the challenge to use this little work as an example for emulation — if they dare!